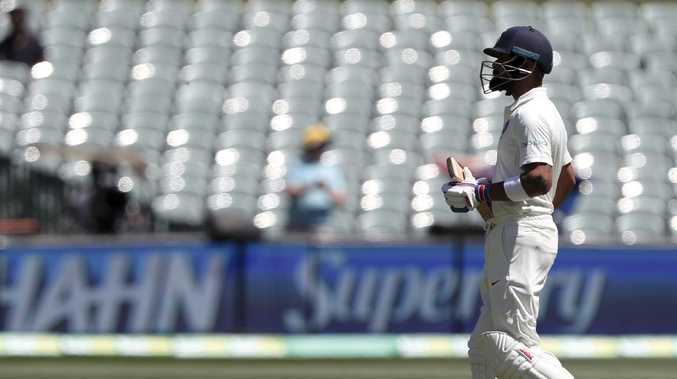 ENGLISH Test great Michael Vaughan has scorched India over their refusal to play a day-night Test throughout the Australian summer. The day-night Test has become a fixture over the past three years including the first match in 2015, when Australia hosted New Zealand, and last year's historic Ashes Test. 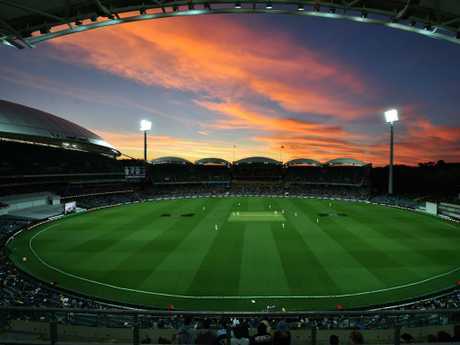 Adelaide Oval has traditionally been the venue for the day-night Test but India's governing body knocked back the request. Vaughan told Fox Cricket during its pre-Test build-up that it's "ridiculous" India was able to dictate the terms under which the series will be played. "I think it's ridiculous that the BCCI can change," Vaughan said. "This has been a great spectacle for the three years - we were here for the Ashes day-night last year and it was a great game of cricket. "I'm a firm believer that whatever the home board want to do, they do and the touring team come on and get on with playing. I think it's a great shame that it's not a day-night game." Vaughan's criticism was certainly supported by the searing Adelaide heat and predictions the mercury will climb to 39C in Adelaide on Thursday. While the Australian public won't get to see a pink-ball Test against India, the first Test against Sri Lanka starting January 24 at the Gabba will be under lights. Indian cricket commentator Harsha Bhogle said the reason India didn't want to play a day-night Test was because they haven't played one in the past. "They didn't want to go 1-0 down early," he said. "They've never played day-night (Test) cricket, they realised the flow is completely different, you have to time your declarations accordingly, the ball starts doing a lot, they have no experience of that. "They said we don't suddenly want to go into a Test match with no experience. And you don't play much day-night cricket in India because of the dew. "We are a winter sport in India, not a summer sport so they didn't want to suddenly come into alien conditions and go 1-0 down. "There have been the odd games and they've trialled it once or twice but the elite players haven't played it." Former Australian batsman Mark Waugh said it was perplexing as India would be well suited for day-night cricket. But Bhogle also flipped the blame on Cricket Australia for not standing by their guns. "It's interesting that in recent times when the conditions have been spicy, they've actually won games because the batsmen can handle themselves and the bowlers become better," he said. "But I like his point, the BCCI can say no all they want but it's up to CA to say yes or no right? They've got to accept it." 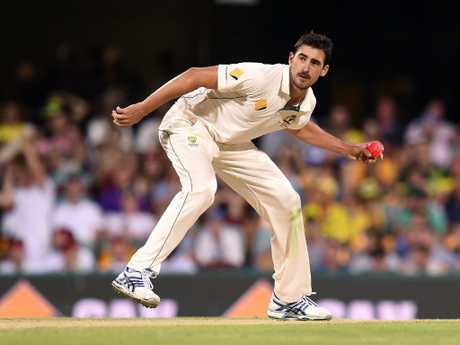 Mitchell Starc is the pink-ball specialist and has taken 24 wickets in four Tests under lights. As the players toil away in the heat in Adelaide, Australian cricket fans can enjoy cricket coverage like never before from the comfort of your loungeroom or desk with the Kayo Sports app. Sign up is easy and you can start watching at your desk with the app available on Mac and PC as well as IOS and Android within minutes. Kayo Sports exclusively offers a Hindi commentary option led by Sunil Gavaskar and Harbhajan Singh throughout the first Test. Kayo will feature all the Fox Sports coverage live and on-demand starting with Cricket A.M., a new dedicated cricket news program as well as in-game and post match magazine shows throughout the day, including The Big Break at lunch, Tea for Two at the tea break and Cricket 360 at 6.30pm after the day's play. Kayo Sports, at kayosports.com.au, will cost $25 per month to stream sports to two devices at once, or $35 for access to the service on three screens. 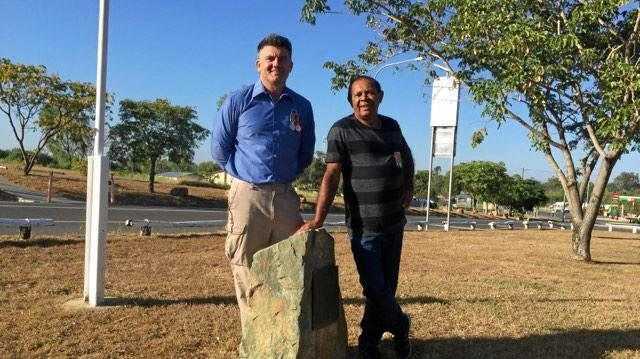 It's currently available on Apple and Telstra TV, for Apple and Google Android smartphones, on web browsers and via Google Chromecast Ultra devices. Click here to trial it free for 14 days.